Are you frustrated because your pain has not gone away yet? Although it is common for people to have ongoing pain and injuries, it becomes more frustrating when medical interventions, exercise, or rest do not fix or even alleviate your pain. Eventually, you find yourself still looking for solutions but start to lose hope because your pain limits your life with work, family or sports. We call this ‘Unresolved Pain’. We find today’s health care is commonly based on a triage-based approach that looks to give you quick answers and remedies. 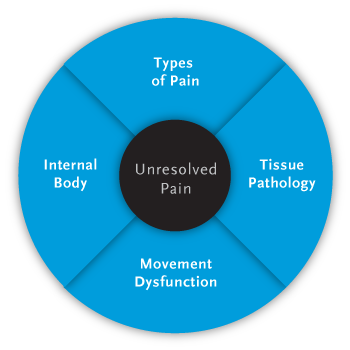 Motion Stability believes, instead, that the key in successful pain resolution comes by taking the time to fully understand what is contributing to your pain and provide a comprehensive treatment plan to address the complexity of your pain. You may think that your pain is due to just a structural problem such as a herniated disc, a bone spur, or strain in your tendon. Although they may be reasons why your pain persists, there is usually more to it. Motion Stability takes into consideration the involvement of four main categories or reasons that may contribute to your ongoing pain. They include: Types of Pain, Tissue Pathology, Movement Dysfunction, and the Internal Body. 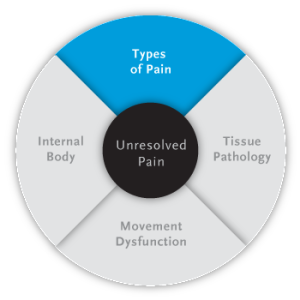 Our success in treating your pain comes by determining which of these categories may be involved, how they influence each other, and determining the priorities in focusing our treatment regimens. Even though your pain may be identical to somebody else’s, your pain is unique to the person you are and the life you live. 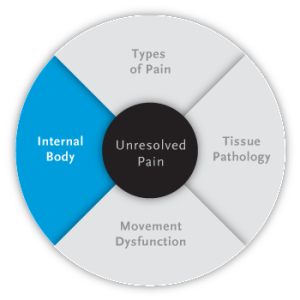 We aim to tell you the story why your pain exists and an individualized plan to resolve it. We understand that the success in rehabilitating an athlete from their injuries requires clinicians that understand the nature of your sport. This includes treating injuries that are unique to your sport, techniques and movements specific to your sport, and training regimens that are required to meet your performance goals. Feel free to contact us to ask how we can tailor your physical therapy program specifically to you. Not every pain is the same. Therefore, not every patient with pain should receive the same treatment. Most people would agree that a simple paper cut versus burning nerve pain in the leg are different types of pain. Actually in the ‘Pain Sciences’ literature, there is considered to be five major types of pain. 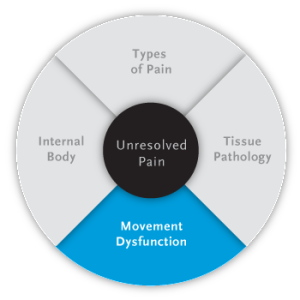 Motion Stability feels the better we understand what pain is and the complexities each present, the more accurate our treatment regimens can be. Likewise, we feel the more you are educated on what pain is, the greater capacity you can resolve it. To help you understand what the different types of pain are, we use the example of a common ankle sprain and the various symptoms you may experience with it. These examples of pain essentially can be applied anywhere in your body. This is the ankle sprain most people experience. You turn your ankle playing basketball or tripping over something. It swells and is hard to walk on for a while, but soon enough the swelling goes down and you’re able to get running again. No big deal. It heals and you keep moving on. Pain sciences call this ‘Nociceptive’ pain. We all experience this type of pain somewhere in our body, whether it be a simple back strain, cut on the finger, or whiplash from a car accident that you’re able to bounce back from. This is the every day pain that gets better mostly on its own or with some health care intervention. You thought you just sprained your ankle, but now your foot or toes are numb or tingling. What was thought to be a simple ankle sprain has now affected the peripheral nerves around your ankle and leg. Nerves that get irritated can cause symptoms like numbness, tingling, burning, and even sensation or strength changes. Pain scientists call this ‘Peripheral Neurogenic’ pain. It is basically pain that affects nerves. Treatment for nerve pain is approached differently than a muscle or ligament due to it being extremely sensitive and connected directly to your spinal cord and brain. Although not as common, you may have sprained your ankle and find your injury is exceptionally sore to things that you would not expect it to be. Pain with things like light touch, heat, and cold are common with, what pain scientists call, ‘Central’ pain. Central pain is based at the spinal cord level and not at the peripheral injury site. Your spinal cord acts like a processing center that sends information from your external body and filters it to your brain to perceive. In normal circumstances, the spinal cord processes things without problems. However, there are cases when the processing centers of your spinal cord are altered and say a simple bump or even light touch can be severely painful. Central pain is complex in nature and continued research is being done. There are rare cases when you sprain your ankle that it swells completely out of proportion. It turns really red, even purple, and sometimes even white. It becomes very painful to touch to the point that you cannot sleep with your bedsheets touching it. Diagnosis such as complex regional pain syndrome (CPRS), formerly known as reflex sympathetic dystrophy (RSD), is a common diagnosis for these types of symptoms. This pain is mostly driven by what pain scientists call‘Autonomic’ pain. Your autonomic nervous system controls your ‘fight or flight’ response or what you may experience when you hear a loud bang or life-threatening situation. Things like stress, anxiety, depression, hormonal imbalances can all affect the balance of the autonomic nervous system. When the autonomic nervous system becomes involved it can cause pain and swelling patterns that are exponentially worse. Treatment in these cases is focused on regulating the autonomic nervous system and not just simple rest and ice. Your own perception of pain itself is influenced by so many factors. This could include your family or cultural upbringing, traumatic experiences, or your own motivations in life. Pain essentially is a perception that your brain detects. Just as every person has unique personalities, each person also perceives pain differently. This would help explain why two people with the same exact injury may have completely different reactions. We attribute the differences due to a person’s ‘Affective’ component – in which your own persona can affect the intensity or perception of pain that you feel. In this regard, it is vital that health practitioners take into consideration each person’s affect and provide treatments that consider how it influences the perception of your pain. Soft-tissue includes muscles, tendons, ligaments, fascia, or cartilage. There are manual tests we can perform to rule out involvement of any soft-tissue. For example, by manual palpation of muscle we can determine if there are myofascial trigger points, which in layman’s terms are ‘knots’ in the muscle. Trigger points are involved in causing myofascial pain, changing muscle function, and altering movement patterns. Treatments can include soft-tissue release techniques or intramuscular manual therapy (formerly known as trigger point dry needling). Joints guide the movement of any moving body part. If the joint loses mobility or has excessive mobility – increased stresses can occur causing pain in the joint or around its surrounding structures. Manual therapy, proper exercise prescription, and taping techniques are usually successful in improving joint integrity. Nerve is disregarded many times as a tissue that can cause injury. When nerves inflame they can cause pain, numbness, and tingling. And just like any other connective tissue, nerves can lose their mobility causing restrictions in motion. Much or our research and publications are focused on nerve related injuries through techniques called ‘neurodynamics’. We focus on improving the mechanics and physiology of the nerve to restore it to its normal function. All unresolved orthopedic injuries or pain involve a poor or prolonged movement dysfunction that places increased stress to your body. With repetition, soft-tissue, joints, and nerves can breakdown leading to injury and pain. Motion Stability examines not only how individual joints, muscles, and nerves work, but just as importantly how they synchronize together to provide efficient and safe movement in function and sport. The way you stand, sit, and walk reveals a lot about the reasons why you have pain. It also shows how a standardized protocol of exercises can only get a small percentage of people functioning properly. Each person has a unique way they move and hold themselves. Motion Stability focuses on providing specific exercises and manual techniqes to improve the individual’s needs for proper gait and posture. There is a lost art of exercise. Many people think they know what exercises to do to improve their strength and flexibility. However, we find that patients get hurt due to overdoing or not doing exercises correctly. Certain muscles – usually the smaller ones closest to the joint – are designed to stabilize the joint, while larger muscles are designed to provide more force and power for movement to occur. The brain then coordinates the muscles together for a properly coordinated movement. Motion Stability focuses on improving the muscle control and integrating it with movement to provide efficient function. When it comes down to it all, the way you move guides how your joints and other tissues are used. Whether it is the way you were trained to play a sport, to a previous injury that makes you compensate in your movement, or a developmental pattern you had when you were a child – each individual has as a specific ‘movement pattern’ they use to perform a task or sport. 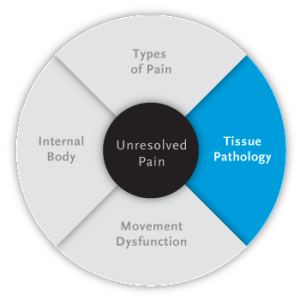 Tissues can easily breakdown when the pattern is inefficient and can maintain a patient in their pain. Motion Stability strives to restore the patient to a safe and injury free pattern of movement in their function and sports they play. It is amazing how the smallest change in angle or modification to your technique in a sport or repetitive work activity can significantly reduce a patient’s pain. 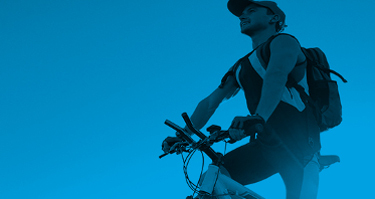 Motion Stability looks to coordinate with your coach, trainer, or instructor on their perspectives of the way they want you to move in your activity. We make recommendations based on how you physically present to make proper modifications to reduce the stress and improve your efficiency. We also have the ability to use 3D motion capture reality imaging – in collaboration with Fusion Atlanta (www.fusionatlanta.com) to analyze your movement from different angles and sequencing patterns. You shouldn’t be surprised how much your internal health of your body affects your pain. This can include food allergies, vitamin and hormone deficiencies, and systemic / internal organ dysfunction. Although Motion Stability does not perform physical tests to confirm their involvement, through our evaluation we are able to determine its possibility and their relationship to your pain. We then coordinate with the best health practitioners to rule out their contribution. Deficiencies in Vitamin such as D, B6, B12 and hormones such as Thyroid-stimulating hormone (TSH) can affect your internal operating systems. With significant changes in levels, your body reacts with pain being a common effect. There are common characteristics your body presents with for each vitamin or hormone deficiency. The growing trend of people with food intolerances has revealed how food can contribute to someone’s pain. When food is processed in an organ, the intolerance can cause an adverse reaction with the nerve fibers around it. This contributes to a reflex called the viscero-somatic reflex that can stimulate the nervous system and provoke pain. Dysfunction in an internal organ such as the kidney or gall bladder can refer pain to the superficial skin. Although your pain may feel like it is coming from a muscle or joint it may be originating from within your internal organs or other systems. Coordination with specialized health practitioners is needed to rule out its involvement.